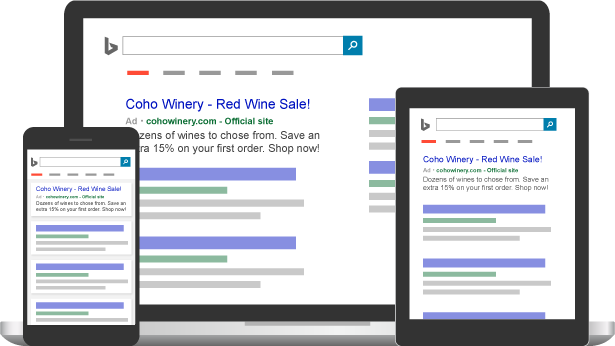 With Bing Ads, you can create ads to reach the right audience and meet your business goals. Need help? Who doesn't from time to time. Our videos, real-world examples, and how-to articles are here when you need them. Welcome to Bing Ads Help! Our videos, real-world examples, and how-to articles are here when you need them. What's new in Bing Ads? Check out the new features to help you connect with customers and boost campaign performance. We have dozens of videos to help you, whether you're a new or an experienced Bing Ads advertiser. Learn how to get ad campaigns up and running. Find ways to optimize your ad campaigns. See how to track your campaign performance. Understand payment and account access. So what exactly is Bing Ads anyway? Bing Ads is a powerful search advertising tool designed to get your ads in front of just the right customers. With Bing Ads, your ads can appear on Bing, AOL, Yahoo, other Bing or Yahoo owned and operated sites, and syndicated search partner sites. That’s ad distribution you can’t get using Google Ads. With Bing Ads, search engine marketing (or SEM) works on a pay-per-click (PPC) basis. This means that you pay only when a potential customer clicks on your ad. You tell us how much you want to spend on your ad campaign each day, and we make sure you get the best return on investment (ROI). We have tools that help you optimize your search ads to target and reach the perfect audience, get to the top of the search engine results page (SERP), and catch potential customers’ attention. 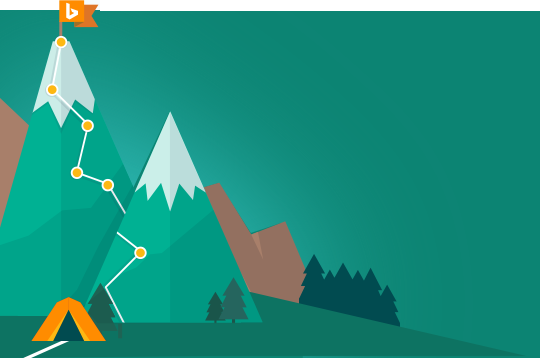 And, using our reports, you can keep close tabs on your cost per click (CPC), click-through rate (CTR), and many more performance metrics – so you’ll always know you’re getting the most out of Bing Ads. Are you ready? Let's get on the path to Bing Ads success!